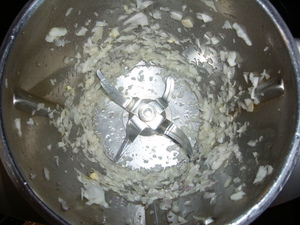 With the TM running at speed 6 for 6 seconds, drop the onions in through the whole in the lid. 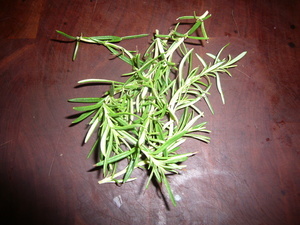 Use only fresh rosemary. Pull the leaves off the stems. 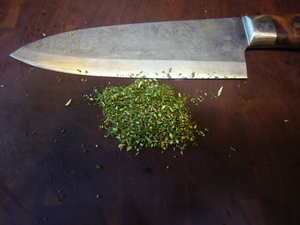 Discard the stems. 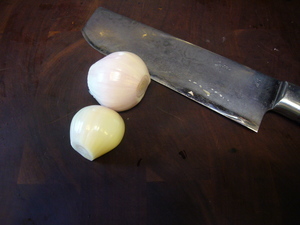 Finely mince the rosemary leaves while the onion cooks. 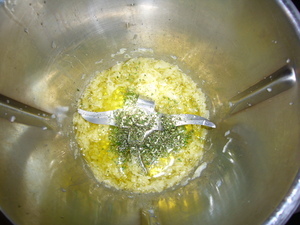 When the rosemary is done, add the sugar, salt and black pepper. 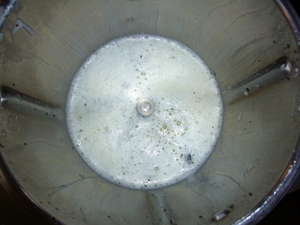 Add the cold milk and process for 30 seconds at 4 reverse to dissolve the sugar and salt. 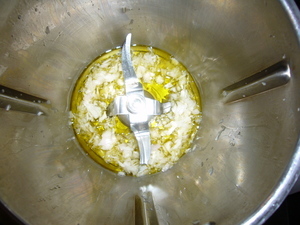 You want the milk to be cold to offset the hot oil and onions. 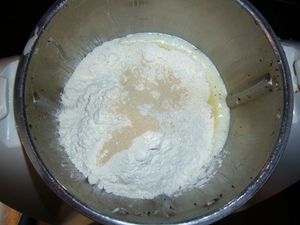 Add the water and corn meal. 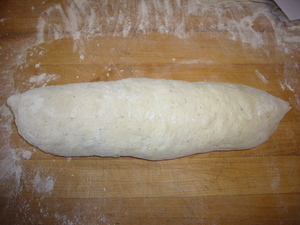 Add the flour and then the yeast. 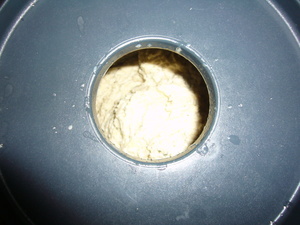 Process at knead speed, closed lid setting, for 8 minutes. 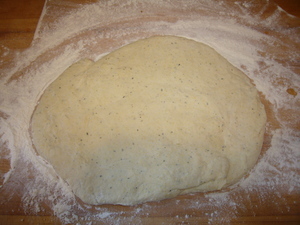 The dough should be somewhat sticky, but clearly not a batter. It should hold a ball/dome shape and pull away somewhat from the sides. 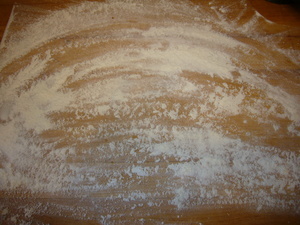 Flour your work table well. 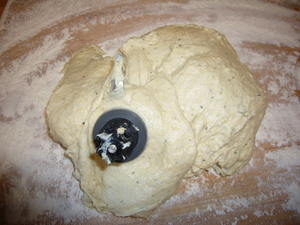 Turn the TM bowl upside down, and release the base, allowing the dough to fall out onto the table. You may have to shake the bowl a little to get it moving. 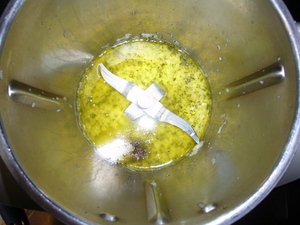 Clean out the bowl the best you can with a spatula. 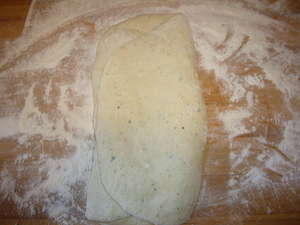 Remove the blade, scraping off what dough you can. Flour the top of the dough. 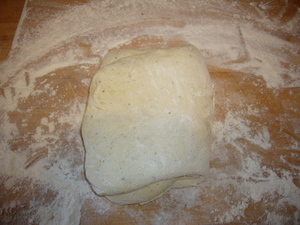 Pat out the dough, brushing off any excess flour. 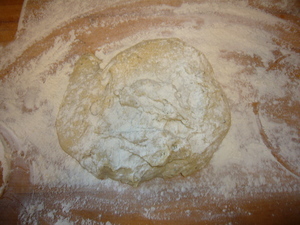 Fold 1/3 of the dough over onto the middle third. 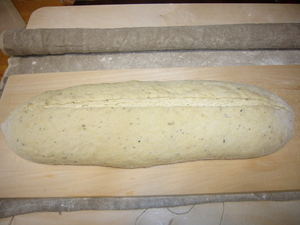 Pat out a bit and then fold the remaining third over the other two thirds. 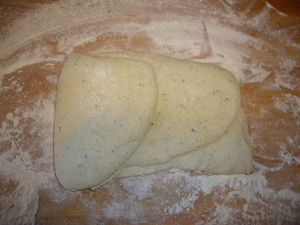 Rotate the dough a quarter turn, pat out and repeat folding. 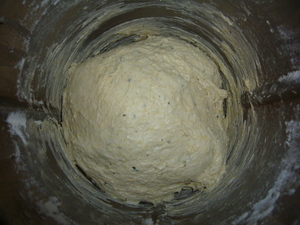 Allow the dough to rise for about an hour and a half. 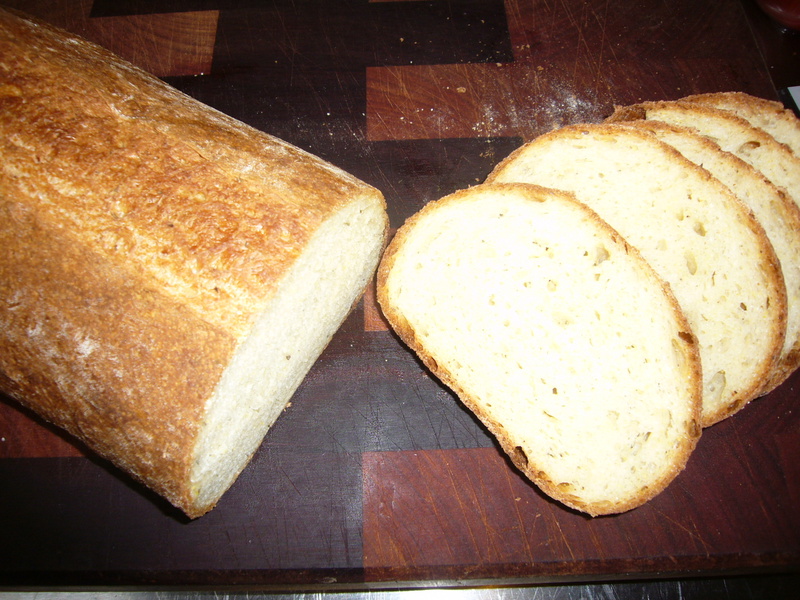 At this point, if you want to serve the bread later, you can put it in a plastic bag and refrigerate (that's what I did today. Dough was in the fridge for about 5 hours. The delay improves flavor, btw.) 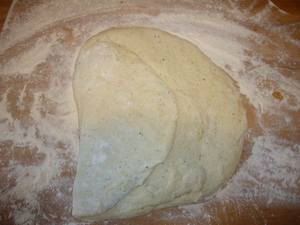 Shape the dough as you please. I got lazy and didn't take many pictures, and this one looks pretty sloppy, but it isn't an exact science. 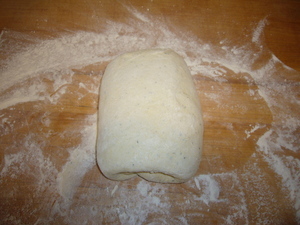 You could also make a boule or rolls. 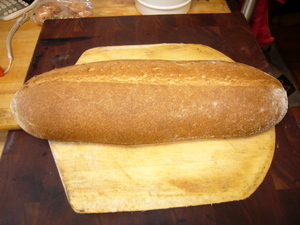 Place the shaped loaf in a draft free location. The temperature will control how long it rises; longer is better within reason. This came out of the fridge, so it rose another hour and a half. 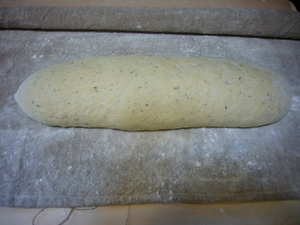 Place on a peel to put into the oven. 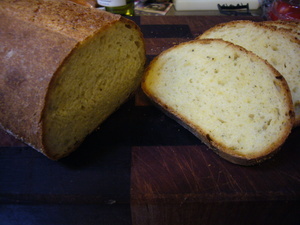 Score the loaf appropriately for the shape. 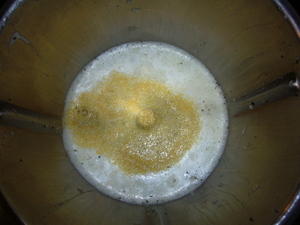 Bake at about 400F (205 C) for about 20 minutes or until internal temperature registers 200F (93 C). If you can add steam, do so for the first 10 minutes. Let the steam out after the 10 minutes. I didn't have time to let it rise for hours...put it in a warm oven, lowest setting for about 1 hour then took it out shaped and scored and baked!!! Thanks so much for this keeper!